Many drivers who are good at interpreting and understanding what a large range of road signs mean are not so good when it comes to road markings. Some drivers appear to not even really be aware of what the road markings are where they are driving - for instance whether the line is dotted or if it is a sold line. However it is important to look at the road markings where they are and react accordingly to the information that they give you. The usual centre lines you will see are a single dashed line in the middle of the road and this is the classic pattern we all think of. However, you will often encounter two lines, with the one nearest you being a solid white line and the furthest away being dashed. Do you know what this means? It means you must not cross the line unless you are going around an obstruction, cyclist, or vehicle going under 10mph, or to turn off. However traffic on the other side can cross their white line, assuming that it is safe to do so. Of course, if you were on the other side of the road you would see the markings the other way around; if there are variable markings like this it means that one side has much better visibility than on the other side of the road and that dictates what is and is not safe to do. Another set of road markings is where there are two solid white lines down the middle, like double yellow lines only white and in the middle of the road. You've probably worked out what this means now - it means that drivers on neither side can cross the white lines. 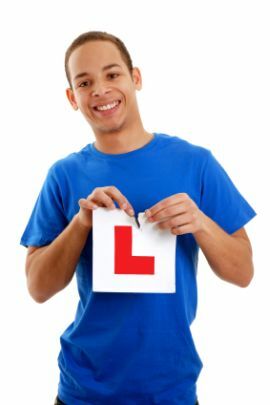 What time of day should I book my driving test?